Thank you so much for your professional assistance and your phone call when a cyclone was threatening our stay in Australia. The prompt action by Chris and the AOT Group Australia, in Melbourne, ended in AOT being able to rearrange within two hours of our arrival into the Cairns area our scuba and snorkeling trips, our accomodations at Sebel Reef House in Palm Cove, our accomodations at Ferntree Resort in the rainforest at Cape Tribulation and our trip to Green Island off the coast of Cairns. Our trip was wonderful and we were able to partake in all of our planned activities due to the streamlined stress-free interactions of AOT Group Australia. The entire cost to us was only $52.00 for all the changes. 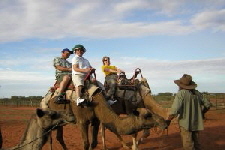 Donna Beauchesne at Your Travel Source has been our guide to traveling the world since 2010. 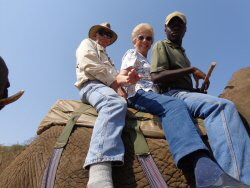 We began our adventures with Donna while she was still at AAA when she helped us arrange our trip to China. When she went to Your Travel Source we followed her. A good move on our part. Since then we have been to many corners of the world including the Panama Canal, the Baltic, Scandinavia and Antarctica. 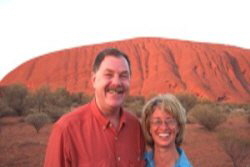 Donna is thorough, knows the destinations and how to get us there, and is very responsive to the needs of the traveler. She even watches for airline schedule changes, delays and strikes that might create issues. In this day of chaotic airline travel, it is very important to have a travel agent monitoring your travel plans. Donna is always on top of our trips. She continues to be our travel planner for future vacations, but best of all she has become a very good friend. Robert and I would like to thank you for planning what turned out to be an adventure of a lifetime. 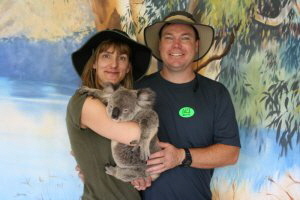 We had such a great time in Australia. We really appreciated all of the work you put into our itinerary to ensure our planned activities flowed smoothly. Your attention to even the smallest of details helped to mke this trip our best vacation yet. I don’t know what I would have done without you. We look forward to working with you in the future on our next great adventure. Thanks again for everything. 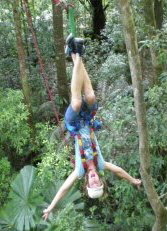 I consider Donna Beauchesne at Your Travel Source to be our travel partner. She is a gem when it comes to helping us select interesting destinations and then make the arrangements for our dream trips. She has worked with us to ensure that we travel safely with the knowledge that she has attended to all the details so we can relax and enjoy our adventures. Over the past five years she has scheduled trips for us to Greece, Turkey, France, Ireland and Africa. All have exceeded our expectations and we look forward to visiting many more countries with Donna’s help. There are differences among travel agents and Donna is the BEST! We felt so fortunate to have found you on the internet. Manny and I were thoroughly pleased with the trip you planned for us to Australia from start to finish. Everything was as you said it would be, all the documents were there and the thing we were most pleased with was that I told you what we wanted to do and you guided me in the right direction and with your help you refined it. We covered all the territory we wanted to. It was great! We were impressed with all we got to see and do for the cost. Our trip to New Zealand was wonderful and everything went smoothly. We had some great hikes, accommodations were fine, and all of the tours were very good. Thanks for all your help - we appreciate it so much. We had the most wonderful Australia experience (it doesn’t seem enough to call it a trip) and we feel we owe it all to you. From our viewpoint, as first-time Your Travel Source clients, one of the most important things you did is that you first took the time to get to know us. By doing so, you were able to help us plan a trip that was completely customized to our interests, timeline and budget. Your passion for Australia and her people is contagious, and made the planning process so enjoyable. Since this was our first trip Down Under, we relied on your knowledge and suggestions. We could never have planned such a perfect itinerary without you. We will be forever grateful and just want you to know it’s such a pleasure working with you and Stevie. For anyone planning a trip to South Africa, I would like to recommend that you talk with Chris Meny at Your Travel Source. She listened to what we had to say and what we wanted to do and then made it happen. She advised us of everything we needed to know and her efforts made this the best trip we have ever taken because she made certain that everything would be as it was supposed to be when we were in South Africa. Thank you Chris.